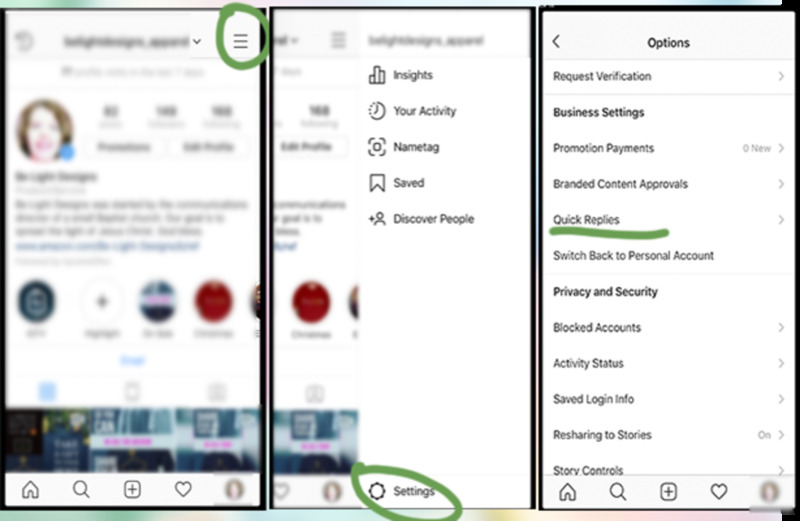 The Quick Replies feature is on all Instagram business accounts. Quick replies are previously formatted responses you set up and then insert into a direct message to avoid having to type the same response repeatedly to different followers. It is not an auto responder. You will still need to reply to your messages personally. It will however, cut down on the amount of time you spend replying to direct messages. You will still need to reply to your messages personally. It will however, cut down on the amount of time you spend replying to direct messages. 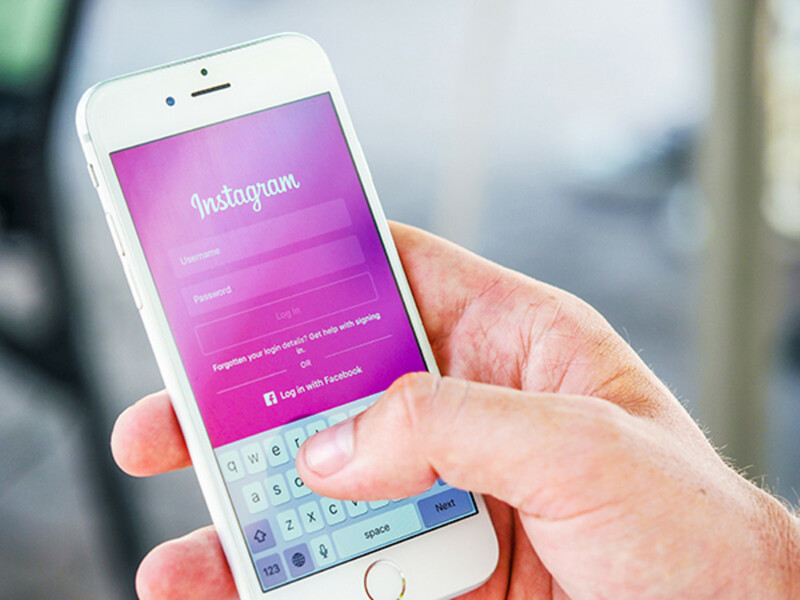 If you have an FAQ on your website, Chances are you need quick replies set up on Instagram. It is a quick fix for commonly asked questions like: What hours are you open, do you hire freelancers, how much do you charge for XYZ, does ___ come in ___ color? If you are running a question and answer promotion on your highlights page or with your Instagram Story if you have asked your followers to direct message your questions, it’s nice to be able to reply with a “Thanks for participating in our Q&A,” with the simple three letter shortcut. If you are running an ad campaign, make a list of questions you believe your ad might generate. If your business has multiple partners, it’s a good practice to sit down and have a consensus as to how certain questions will be answered. If you have multiple people logging into your Instagram account, such as a virtual assistant or business partner, it makes it easier to maintain consistency in your communication style. 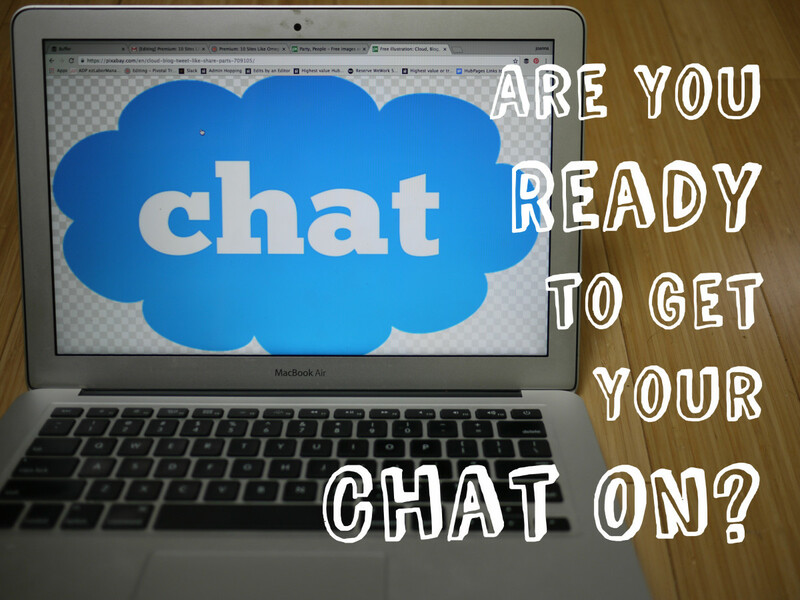 Go through your direct messages and make a list of your most commonly asked questions. Make use of this feature to save your business time and money, by cutting your reply time in half. To create a quick reply. Go to your Profile Page. Click on Menu Icon in the top right corner, to bring up the message screen. Pick the Gear Icon at the bottom of the menu screen. A list will pop up. Select Quick Replies from the list. This will bring up the options. Click the plus sign to set up your first reply. After you set up your first quick reply, you’ll see a list of the replies you’ve saved. To add a new one, tap the plus sign on the pop-up screen and repeat the sequence. You can create as many as you need. You can always add more quick replies to your list as you need them. To edit or delete a reply that you've set up. Go to your page, click in the top right corner, a menu will slide in. Click the gear at the bottom of that menu. A list will come up. Choose “quick replies” from that list. Then in your list of replies, tap on the one that you want to edit or delete. From here, you can edit the text, change the shortcut, or to delete your quick reply. Quick Reply is a useful, time-saving feature. It also helps your business create a sense of consistency. Which greatly improves customer relations. I highly recommend that you give it a try. Please leave a comment below to let me know how you like this feature.